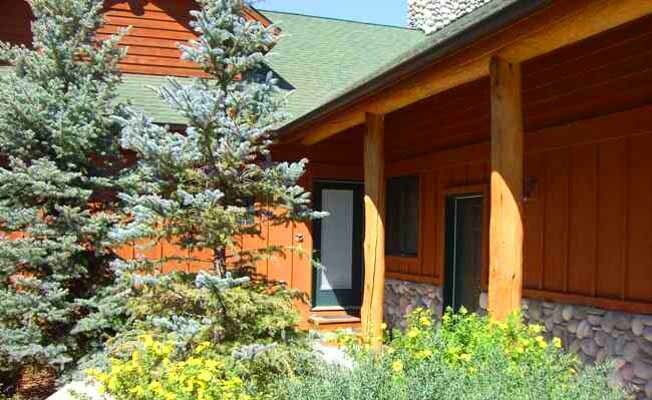 Our peaceful condominium is conveniently situated between the mountain ski areas of Big Sky Resort and Moonlight Basin and Meadow Village and the Town Center of Big Sky. The cross country trails of world-famous Lone Mountain Ranch are in walking distance too. The condominium is on two levels. The ground floor level contains the Great Room with Dining Area, the Kitchen open to the Great Room and the Master Bedroom with its own bath. Also on this level is a deck with a private hot tub with views to Yellow Mountain. Downstairs are two additional spacious bedrooms, each with its own bath, and a large laundry facility. The condo has a large enclosed garage for a single car. We have fully equipped and supplied the condominium so that you will have only to bring your suitcases, skis and boots! Of course, a stop at the grocery store will be in order as well.